Baker’s Hill. I heard a lot about this place. 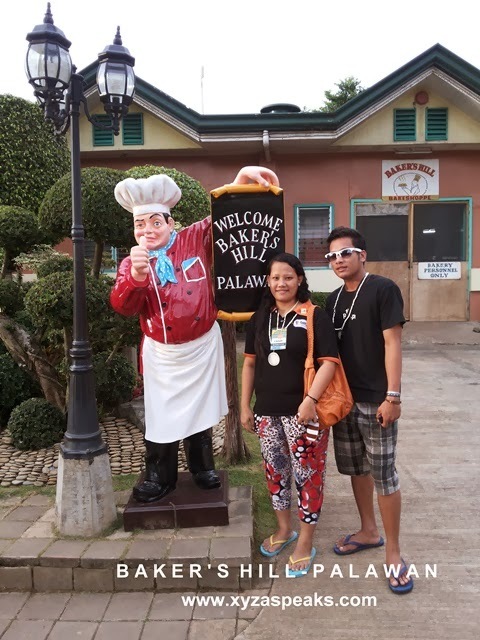 Before coming to Puerto Princesa City Palawan, my friends from istorya.net already gave me pointers and set my expectations on what to do and what to expect in Palawan. 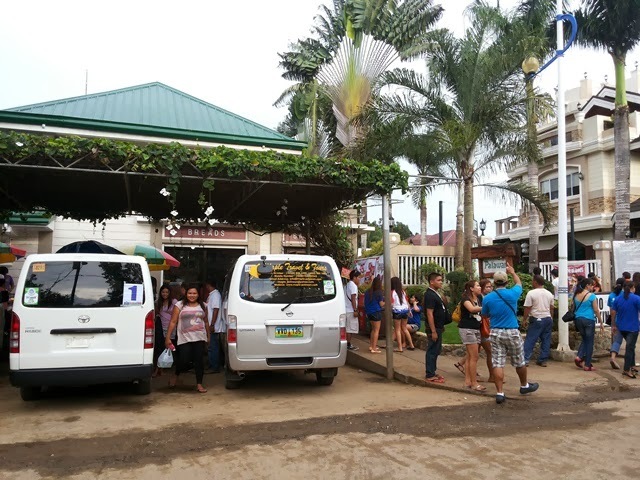 And one of the “must not forget” is to visit Baker’s hill and buy a lot of hopia from there, and so I did. People say they have the yummiest hopia ever. Out of curiosity, the day before the tour, I already bought the 5 piece pack of Baker’s Hill hopia at NCCC Mall. I wanted to try it first before buying in bulk hopia boxes which I might regret in the future. And because I consumed 5 pcs in one setting, it’s indeed yummy. It tastes so good that you can’t stop eating it. It’s best with a hot brewed coffee or mocha. It’s good with soft drinks too. So when we had the City tour, I already budget 6 boxes of hopia then. Hehehehe bought some for home (Iligan); few boxes for my friends who sheltered me in Cebu since I’m freaking out alone at home with some occasional aftershocks, a box of hopia for Julie’s ate in the hospital and for kuya. I was even sad that I don’t have something to eat while in Palawan, hehe but luckily the bosses gave us 2 boxes each for take home, yay! 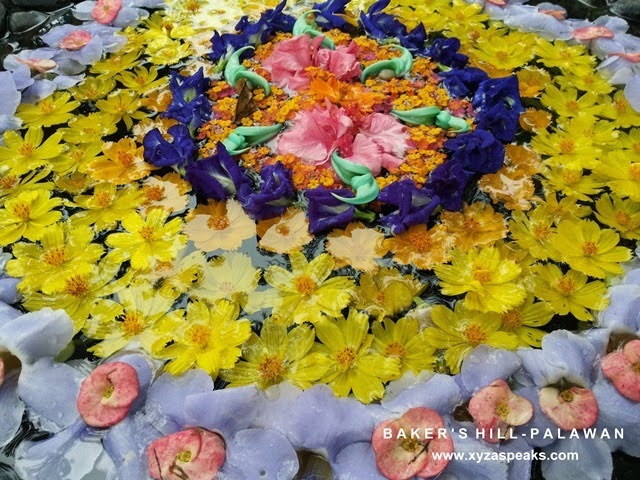 So what to expect in Baker’s Hill? 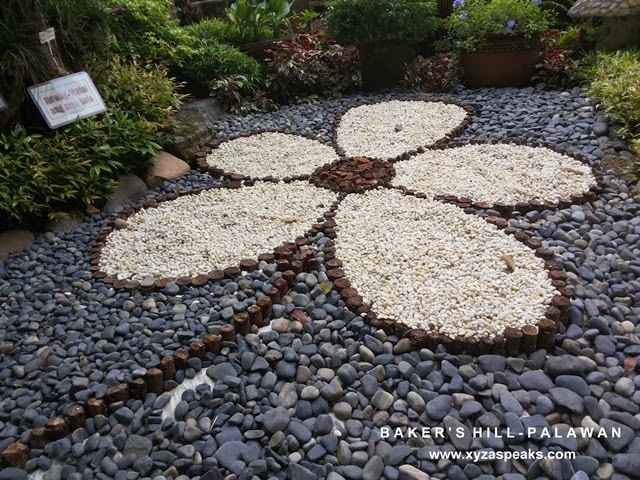 The owner of the Baker’s Hill is a landscaper. He does it for a living. And so yes, expect a lot of his masterpiece in display inside the compound. It’s like a park with some restaurants and food stalls in it. One food stall even sells the famous Palawan must try “tamilok” or woodworm, worth a try. One of the distinctive features there is their biggest bakery and bakeshop. You can buy different flavors of hopia freshly baked/ straight from the oven, and yes it’s still hot. I don’t really recommend eating it while it’s still hot because you’d easily get “umay” or _____. They also have other products that you might be interested in trying too. The whole places smell like hopia like seriously, and its aroma has such a persuasive power that pushes you to try the food items or buy them as pasalubong.